Chocolate. 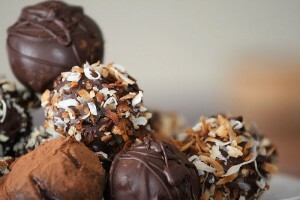 Known aroun d the world as an addictive dessert and aphrodisiac, almost everyone can agree that chocolate is delicious. But for those wishing to experience everything that the cocoa bean has to offer, Barcelona is one city not to be left unvisited. 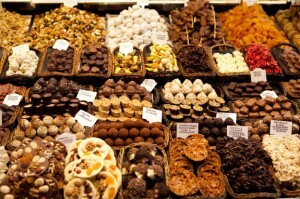 Home to some of the most mouth-watering chocolate stores, cafés and restaurants in Europe, take a tour through the culture of chocolate in Barcelona and satisfy your sweet tooth, while learning about the origins of the dessert from the typical Spanish chocolate shops and the famous Museo de la Xocolata. Chocolate was first introduced to Europe over 500 years ago after Hernan Cortés conquered the Mayan and Aztec empires of Central America. When Cortés brought the cocoa bean back to Spain,its main use was to create a drink called ‘chocolatl’. This cold, chocolate-based beverage, was made spiced with chili peppers, vanilla and other flavorings. You can still find this drink around Spain today, although it is a little hard to come by. 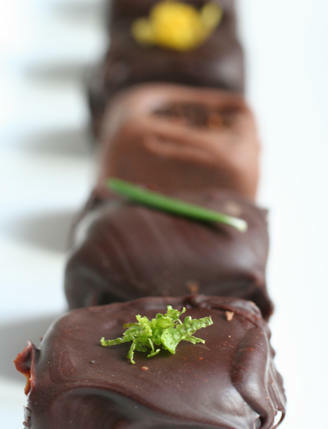 Chocolate has since been through many changes, including the process of sweetening it. Today, it can be found in some weird and wonderful forms, and in many different flavors, plenty of which can be found in Barcelona. Some of the most famous confectioneries in the city include Xocoa, a store that specializes in the art of chocolate. Here, chocolate flavors range from Jamaican pepper to Rosemary, and the store even has its own line of beer, ‘Birracao’, as well as body products and chocolate creations in various shapes and sizes. Another notable chocolate store is Cacao Sampaka. Specializing in the sale of chocolate ingredients for cooking, chocolate spreads and chocolate fondues and sauces, visitors have the chance to sample all products prior to purchase in this famous shop. While there is so much to learn about chocolate, the Barcelona Chocolate Museum gives you more than just a history lesson. Home to Barcelona’s Confectionery Guild, the space has tons to offer to guests interested in the cocoa bean. Upon arrival, visitors are greeted by a giant white chocolate ape named Snowy. 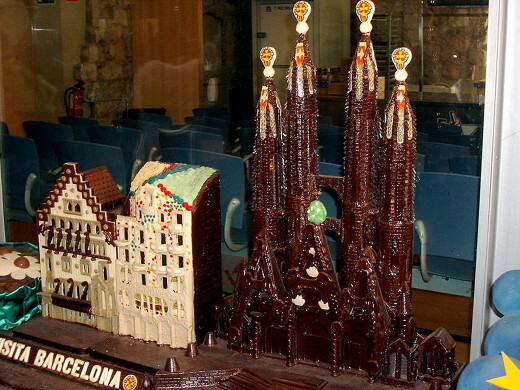 Rightly so, tourists are then given their own bar of chocolate to chomp on as they meander through the building, eyeing beautiful sculptures from Minnie Mouse and Louis Armstrong, to La Sagrada Familia and creations from Parc Güell – all made of chocolate! The museum also tells of the impact that chocolate had on European nations after its introduction. Visitors will have the chance to view the traditional machinery formerly used to make chocolate, while learning about the entire process from selecting the cocoa bean to the minute you indulge in it! 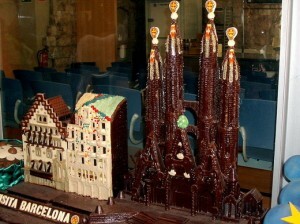 If you are visiting Barce lona with children, make time for an individual workshop called “Chocolate Artists”. This one-hour program is available everyday and is aimed at kids aged 4-12 years old, focusing on the creation of chocolate figurines. El Museu de la Xocolata is located at Carrer de Comerç, 36, right across from Parc de la Ciutadella. The Chocolate Museum is open to the public from Monday to Saturday from 10am to 7pm and from 10am to 3pm on Sundays and public holidays with an entrance fee of around 6€. During the cold winter months, the people of Barcelona find comfort in the traditional delicacy known as chocolate con churros. Churros are best described as long, thin doughnuts, dusted with sugar, and most commonly found in a loop shape. These sweet treats can be found in typical Spanish cafés known as granjas, or in chocolate restaurants. 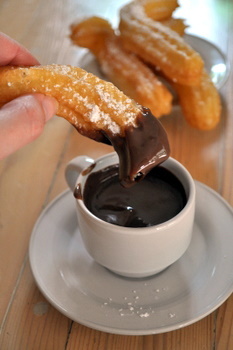 Typically served with hot chocolate so thick and creamy that it can be enjoyed with a spoon, it is customary to dip your churros into the deliciously sweet drink. One can find plenty of granjas in Barcelona, although many are hidden treasures. Some of the more famous is La Pallaresa situated on a street best known for chocolate in Barcelona: Carrer de Petritxol. Located in the Gothic Quarter, this charming little café is always bustling with locals and tourists alike. Mostly known for its churros and hot chocolate, La Pallaresa also offers other sweet delights such as crema Catalana and muffins. Whether you are a choc oholic or simply like to indulge yourself in the sweet stuff now and again, you cannot miss out on the culture of chocolate in Barcelona. From the age-old traditions of chocolate con churros, to the one-of-a-kind confectioneries, to the spectacular Chocolate Museum in Barcelona, don’t miss the opportunity for a unique experience while visiting the Catalan capital, especially if you are traveling to the city with children. 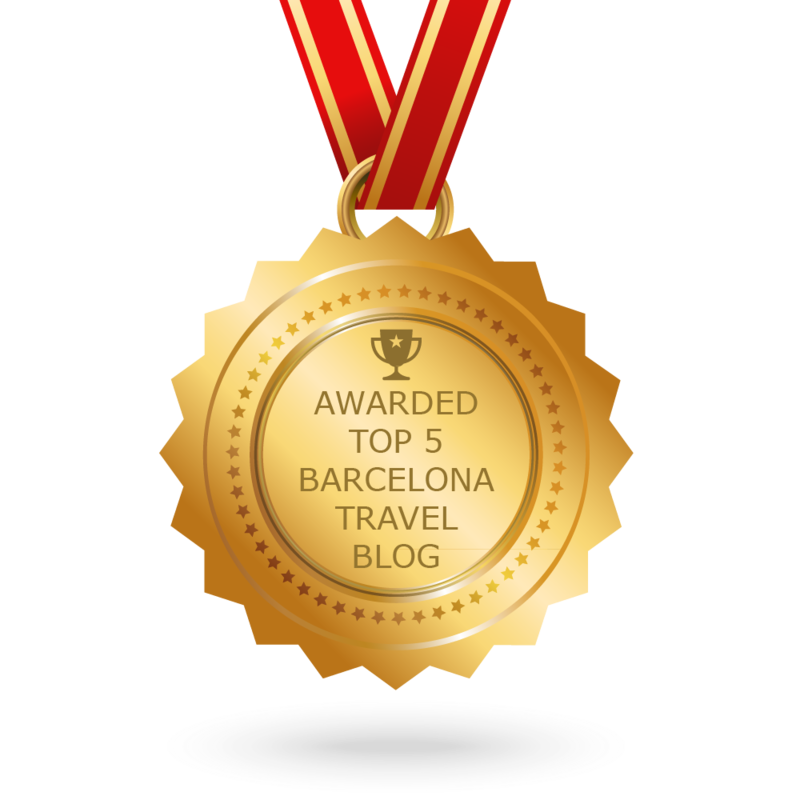 Look out for chocolate tours of Barcelona, too! Check out Apartment Barcelona’s video about Chocolate con Churros for even more tips about the best chocolate in Barcelona!